For as long as we can remember, we've been suckers for packaging. The marriage of food and art appeals to a slew of senses - when a treat for the tongue doubles as a feast for the eyes, the pleasure is exponential. Which is why we experienced an unexpected jolt to the taste buds recently while perusing a friend's bookshelf. After thumbing through the usual suspects - Faulkner, Salinger, Hemingway, etc. 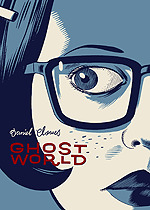 - we were surprised to find a gem - Ghost World, the acclaimed graphic novel by Daniel Clowes. An unexpected memory smacked us on the back of the palette: OK Soda! Way back in 1993, when the soda wars between Coca-Cola and Pepsi were still raging, each corporation was scrambling to diversify, to find a magical new product to corner untapped market share. Pepsi tried, and failed, with Crystal Pepsi (ick). Coke introduced a sequel nobody asked for: Coke II (ick II). What is a mega successful beverage company to do? There were so many soda drinking mouths going devastatingly unquenched! So many dollars not being spent on fizzy drinks! Such tragedy. Coca-Cola decided to take on the largest - and most confusing - group of new consumers: Generation X. Marketing executive Sergio Zyman discovered that the second most recognized word in the world is "Coke." The first? 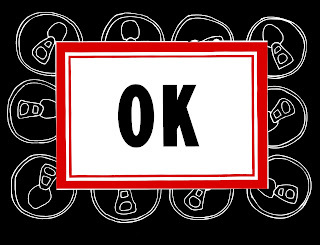 "Ok."
OK Soda debuted in 17 test market cities in 1993, including our hometown. Lord knows we didn't need any more soda - just ask our mothers or dentists - but that can! It was bold, and different, and gorgeous! That can was irresistible. We had to have that can. Part of the appeal of OK was that it didn't take itself too seriously. The labels were littered with silly mottoes and charts. Clowes played with the frame of the barcode. Some cans had spaces for note-taking. 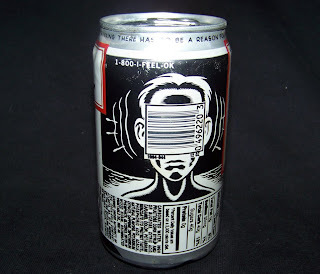 The marketing campaign was equally unique and playful; customers were encouraged to call 1-800-I-FEEL-OK and interact with a variety of messages that ranged from ironic to absurd. 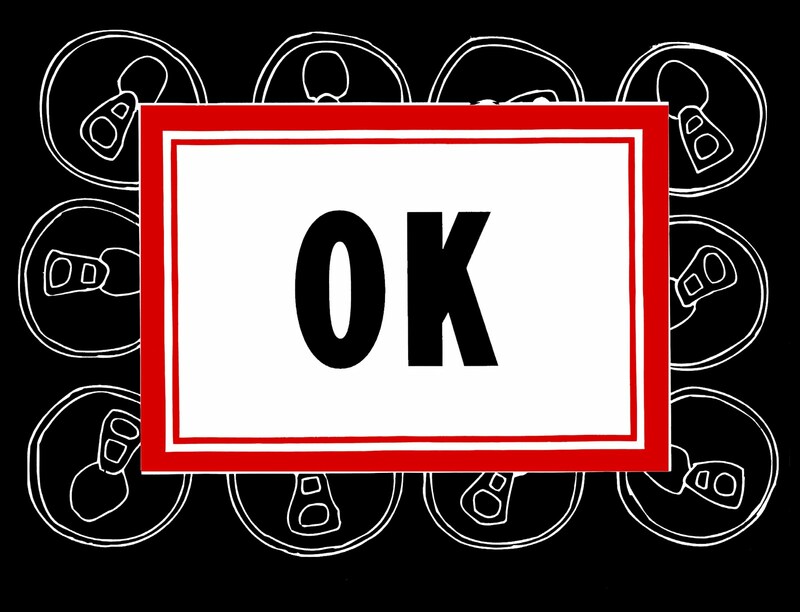 Ads and cans detailed "coincidences" of "OK-ness," apparently sent in by OK Soda drinkers. Fizzled Out has a great two-part compendium of all things OK. We suggest you take the Personality Survey to judge your current level of "OK-ness." Sadly, everything was not going to be OK. The citrusy cola failed to make a splash, and Coca-Cola killed OK Soda in 1995. Gen X-ers moved on to other beverages that appealed to their demographic, like, oh, we don't know, beer? So whether you hail from Gen X, Gen Y, or Gen Why Not?, treat yourself to a dose of OK-ness by sitting down with a copy of Ghost World, popping open a cold one, and marinating in nostalgic existential crisis. After all, it has been said that "A day without OK-ness is like a day without 'day.'" Yes, I remember it well...great can, lousy soda pop! I too have sentimental feelings about Crystal Pepsi... ahh youth. I miss OK Cola and occasionally try to reproduce it by mixing 1/3 orange soda and 2/3 Coke. 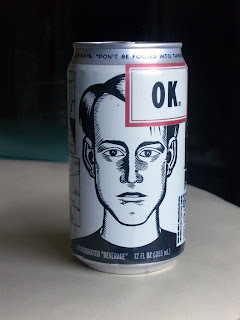 I fondly remember walking down to the nearest convenience store every week or so during the summer to spend what precious little money I had on a can of OK. I also remember Crystal Pepsi, no matter how hard I try not to. I came across this on Google, and I am stoked that I did. I will definately be coming back here more often. Wish I could add to the conversation and bring a bit more to the table, but am just taking in as much info as I can at the moment. most important post. Please every one visit this site quickly. Thanks.